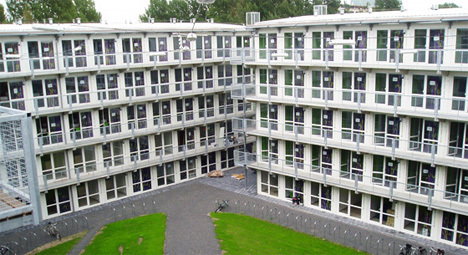 Diemen, near Amsterdam, suffers from a lack of affordable student housing. Tempohousing designed and built this 5-story, 250-unit housing area for students. It took about 12 weeks to assemble all of the units after they arrived.